Local Board Elections 2016 are now underway. Complete your voting document and post it in the FREEPOST orange envelope provided at a post office, post box or shop shop by 5 October. Voting documents sent in the orange envelope must be posted by 5 October to arrive in time. After that date and until midday on 8 October you can hand deliver your voting documents to a ballot box. 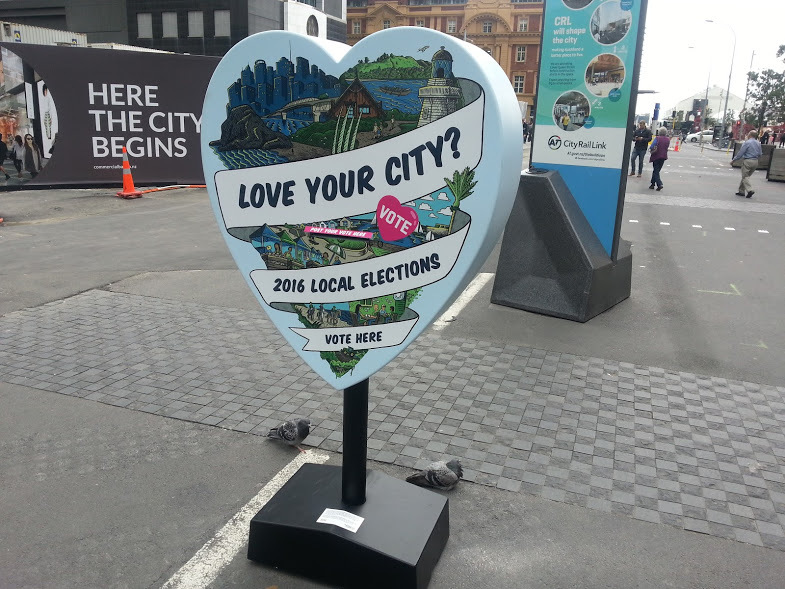 Aucklanders get to vote for the Mayor, a local Councillor (in some ward areas two Councillors), members of a local board, and members of the district health Board. In some areas you can also vote for a local licensing trust. Meet City Vision’s candidates here.